If you’re planning on opening up your small business, then you should know just how important it is that you know exactly what you’re supposed to be doing. This is especially true if you plan on opening up an insurance business where there are a ton of different policies and procedures that you will need to think of. You can also like plan templates. You’re going to need something that will guide both you and your employees to ensure that your business is able to attain success. 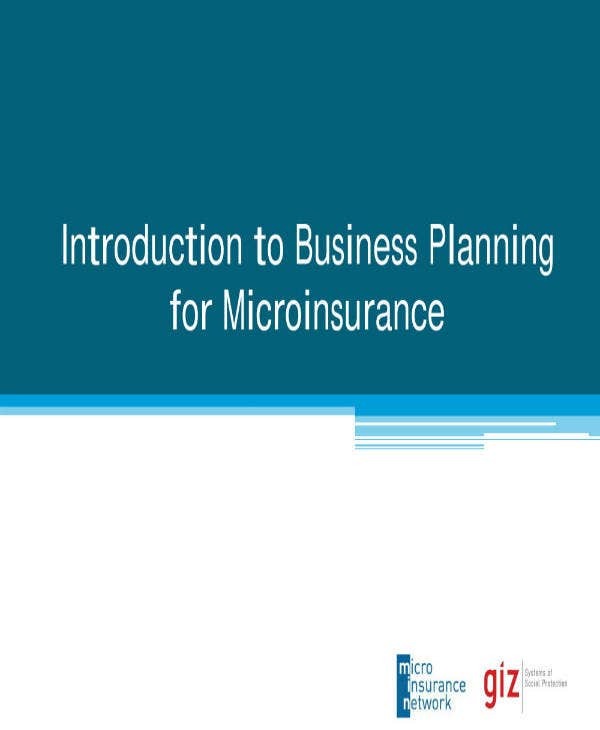 And that’s why this article is going to teach you how to create an insurance business plan that should be effective. Remember that the entire point of having the basic business plan is so that it can outline everything from what it is that your business has to do, what it has to achieve, what it’s going to need and much more. You’re going to need it if you ever want to have any chance of bringing your insurance business to the success that it deserves. The first step that you’ll need to take when coming up with this type of plan is to figure out what your business’s vision and mission statements are going to be. The reason as to why you’ll need them is because you’re going to have to use them as the basis for all the strategies and tactics that you’ll be coming up with for your business. Also, they can act as guides that will remind both you and your employees about how important it is to fulfill duties and meet expectations. So the first thing that you will need to do is think about your business’ mission statement example. Now, what it is that you want your business to be able to do? Since we’re talking about one that’s meant for providing insurance, then your main objective is most likely going to be to give customers the protection that’s equivalent to the price that they paid. You can word this in whatever way you wish, just make sure that it gives off a positive image of your business. Also, the type of protection your business is going to give will depend on the type of insurance your business offer so make sure to point that out. You may also see free business plans. Once that’s done, the next step is to write down your vision statement. All you have to do is answer one simple question: What do you see when you think about your insurance business’s future? Think about what kind of success you want it to have in a couple of years from now and use that as the basis for writing down your vision statement. You’ll definitely need it in the plan as it will give you and your employees something to work towards and something to look forward to. You may also see successful business plans. As you’re writing the both of them down, just remember that you’re going to have to explain them as clearly as possible. Make sure that they’re easy to understand so that readers will be able to get the message. You may also see marketing business plans. Before you even begin to open up your own business, you need to be able to think about what kind of insurance your business should be providing. There are different types of insurance that your business can specialize in. 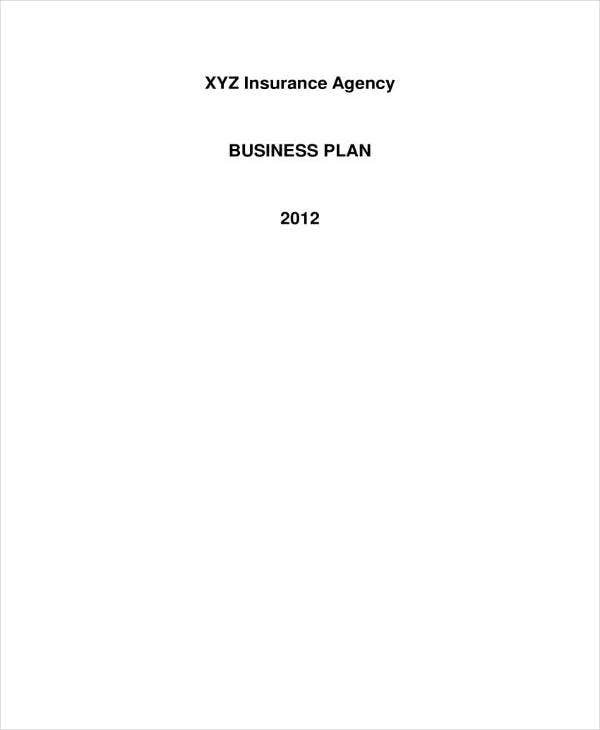 You may also see sample business plan outlines. 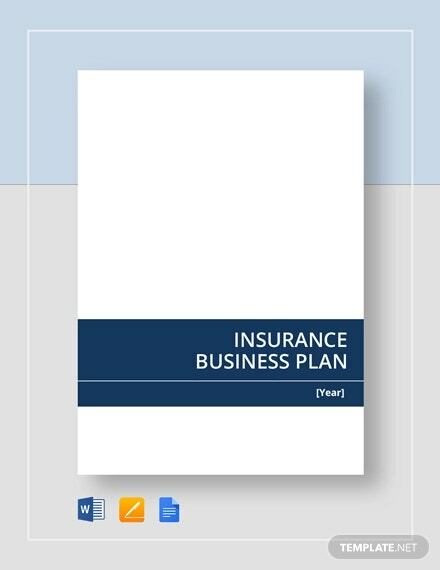 Once you’ve managed to figure out what kind of insurance you’re going to provide, then all you have to do is to simply write it down into the business plan. You may also see sample marketing action plans. 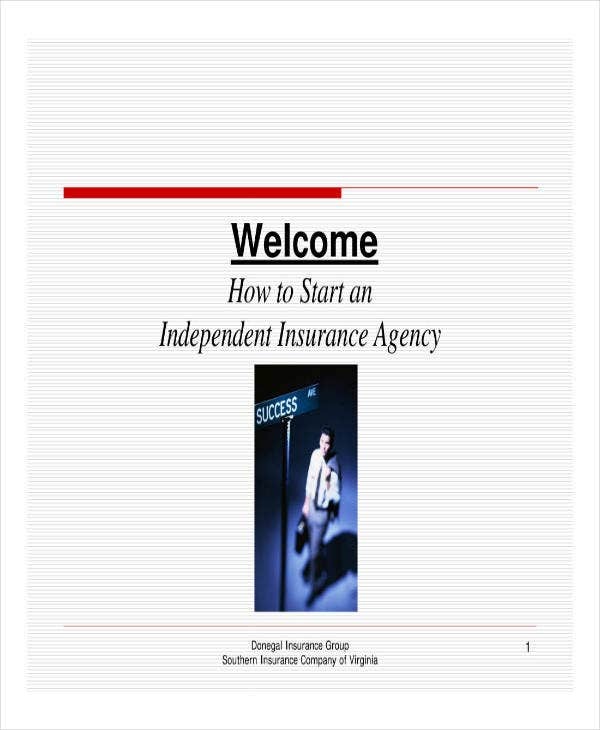 This section of the sample business plan is going to be very important as you want to know exactly how much it’s going to take to start up and run your own insurance business. Also, your potential investors are also going to want to see this as they’re going to need the information to tell them as to whether or not you know what it is your business is going to need. Also, the information will help them determine whether your business is a good investment or if it’s just going to become an unnecessary expense. So think about the costs for the first few months of operations. Once you’re done with that, you must then figure out how much it will take to register your business to ensure that it’s legitimate. Then you will need to consider all of the different tools, equipment, and resources that you’re going to need to ensure that your business is able to function. 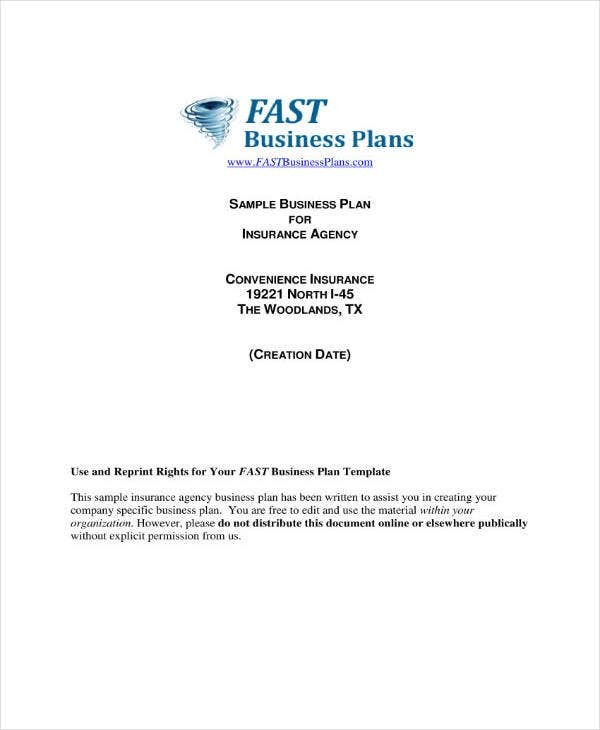 You may also see sample small business plans. Once you’ve come up with a list of all the items, the next thing that you’re going to have to do is to point out the amount of each expense. Make sure that you’re very specific with the figures. Do your research to see exactly how much each item on the list is going to cost. You may also like market analysis business plans. This is the section that provides information that just about all of your customers are going to want to learn about. It’s where you will be sharing everything from how your customers can avail the insurance to how they’re going to pay for it. You may also see retail business plans. So first, talk about what it is that they need to do in order to be covered. You’re going to have to fully explain the procedures that they will need to follow as well as what kind of sample agreements they’re going to have to sign to guarantee that they’ve managed to acquire the insurance. Next is that you’ll want to talk about the method of payment. This will all depend on you, but just about every insurance company uses the method wherein they subtract the funds from the client’s bank account every month whenever the payment is due. Just make sure that you’re clear on this so that there won’t be any surprises. Also, make sure that you’re able to specifically point out how much they will be required to pay. You can also see coffee catering business plans. By this point of the plan, you’re going to have to share how you’re supposed to market your insurance business to ensure that it’s able to acquire customers. Also, potential investors will want to learn how you’re going to market your business as it will tell them if you know what it is that you should be doing and if you’re doing it in a way that will actually lead your business to success. So what you want to point out in this section of the plan would be the strategies that you’re going to use and the promotional content that you’ll need to come up with. As you’re coming up with your strategies, you need to know where you should be focusing them towards. You can also see wedding photography business plans. There are many different media channels and you want to be able to use the one that’s able to provide you with the most customers. So do you think you should focus your marketing efforts on social media? Or maybe you should be using television and radio? It’s ultimately up to you as to where you should focus your strategies on, just make sure that you’re actually able to gain the interest of a lot of customers. Then you’ll need to point out what kind of promotional material you’ve come up with. When you explain this, it’s best that you point out that it shares the basics of what it is that your business offers. That would basically be the type of insurance, how much will need to be paid, and the payment methods. You’ll also want to share other information such as where customers can avail the insurance. The more information it’s able to share, the better it will be for your business. You can also like nightclub business plans. Once you’re done writing down everything, the last thing that you’ll need to do is to come up with the executive summary. The point of having this is so that readers who just want to get the gist of the plan are actually able to get it. Just remember that just because it’s an executive summary does not mean that you can skimp out on the important details. It still needs to be able to share everything about your plan but in a more condensed manner. If you would like to learn about the other types of simple business plans that you can create, then all you have to do is to go through our site. It contains many different articles and each of them has information that you may need. Just be sure to read them thoroughly so that you are able to make the most out of whatever they have to offer you.